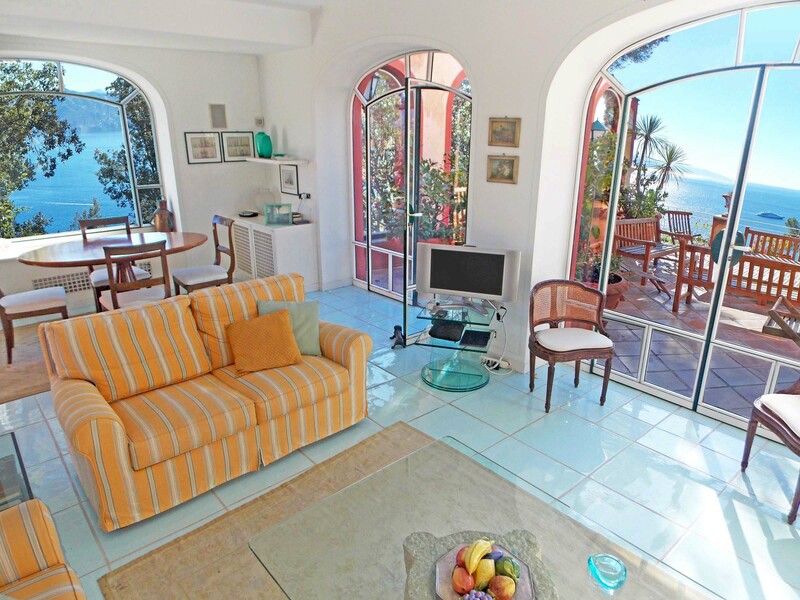 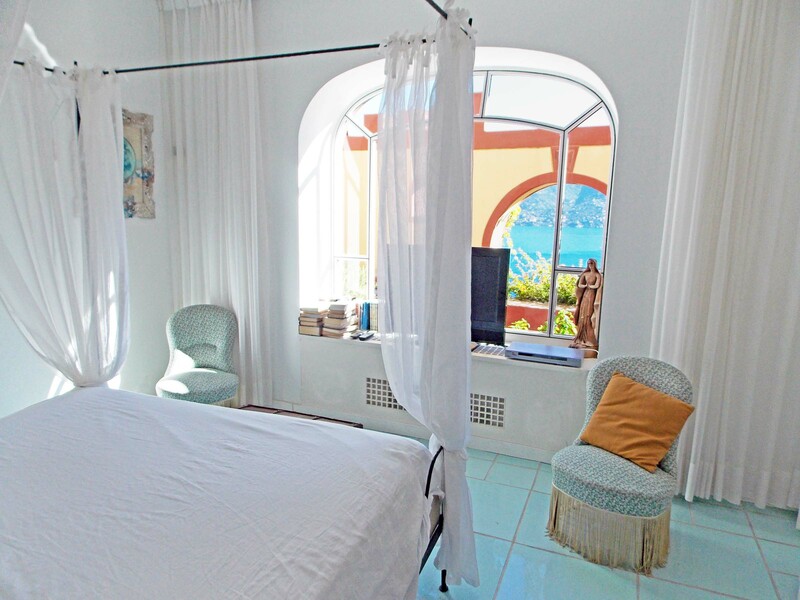 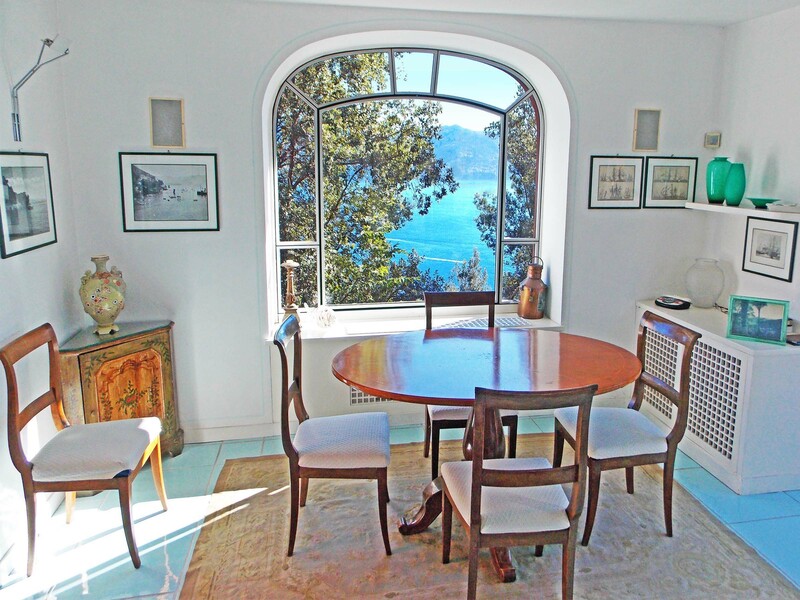 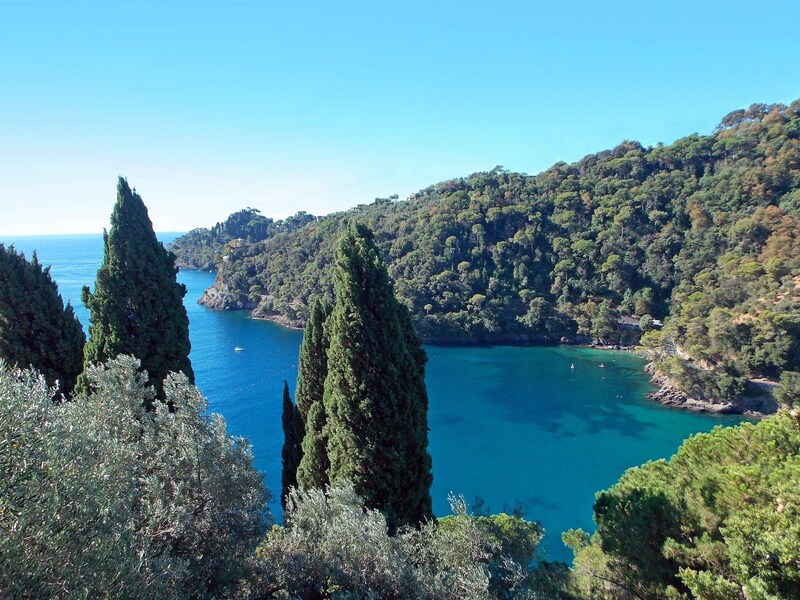 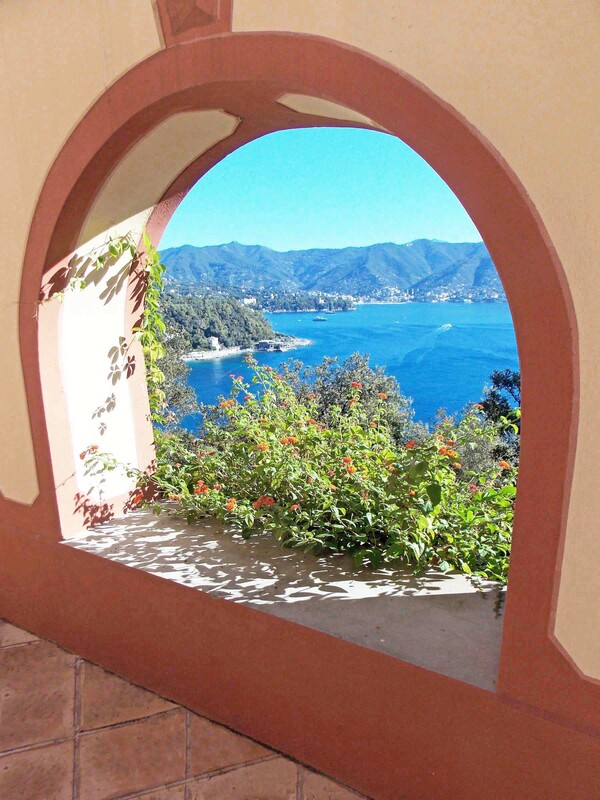 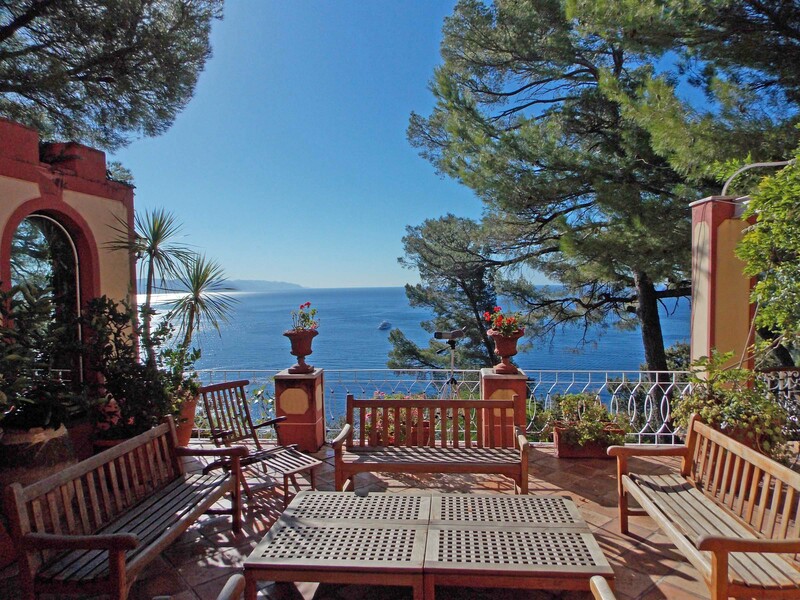 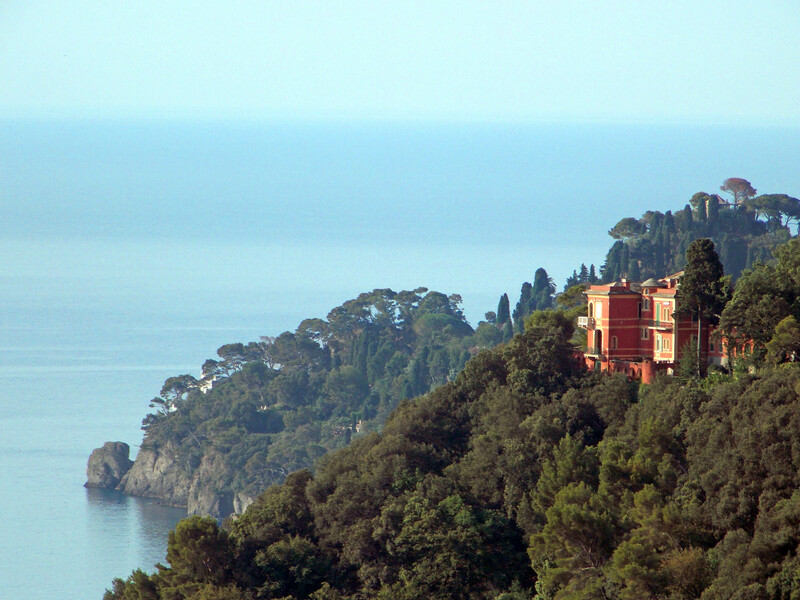 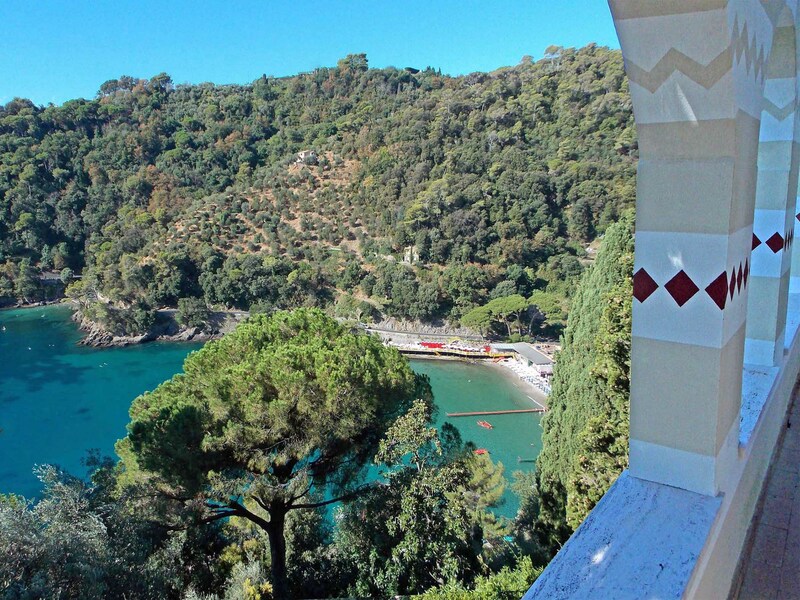 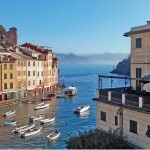 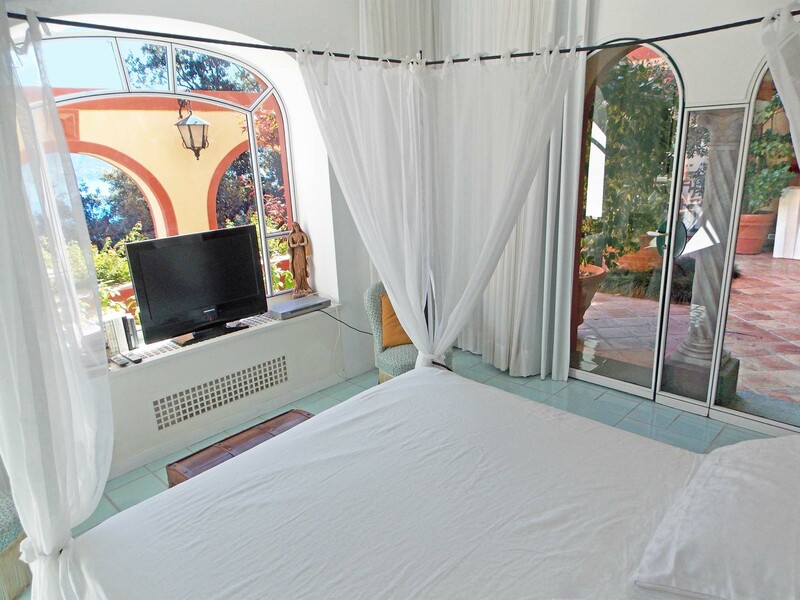 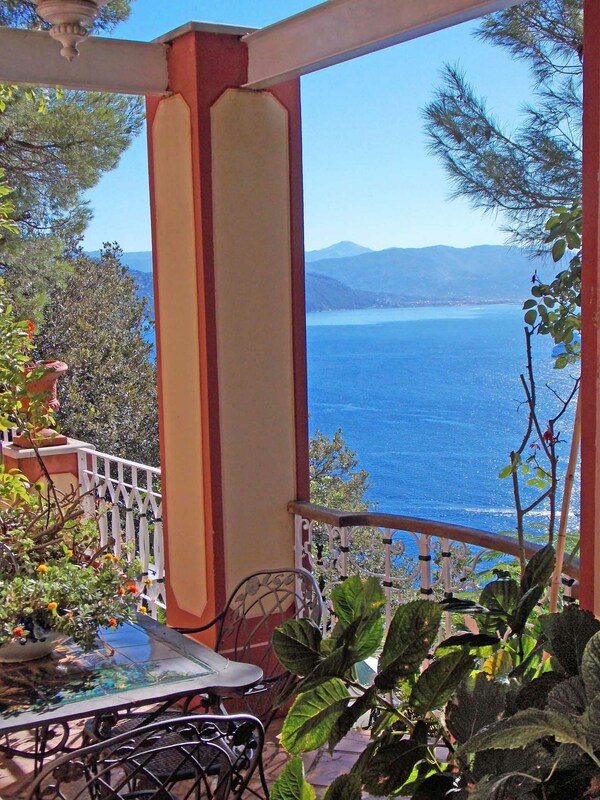 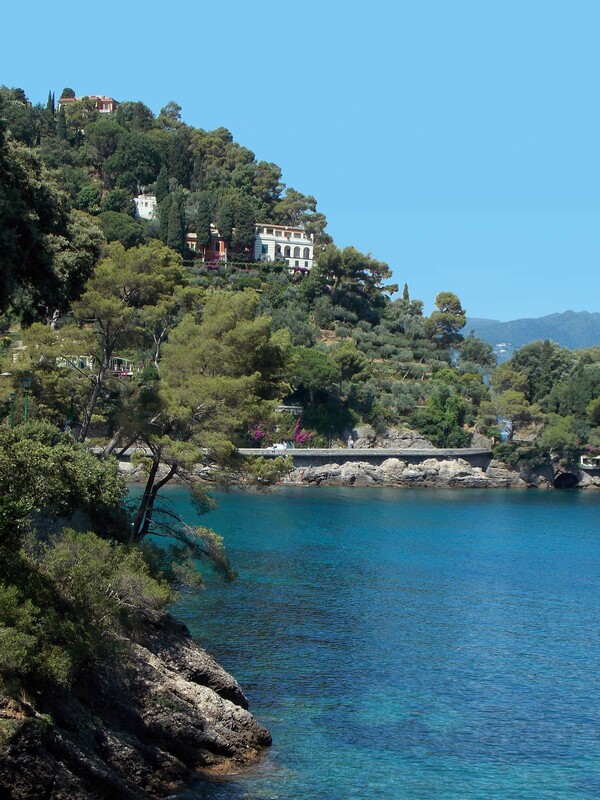 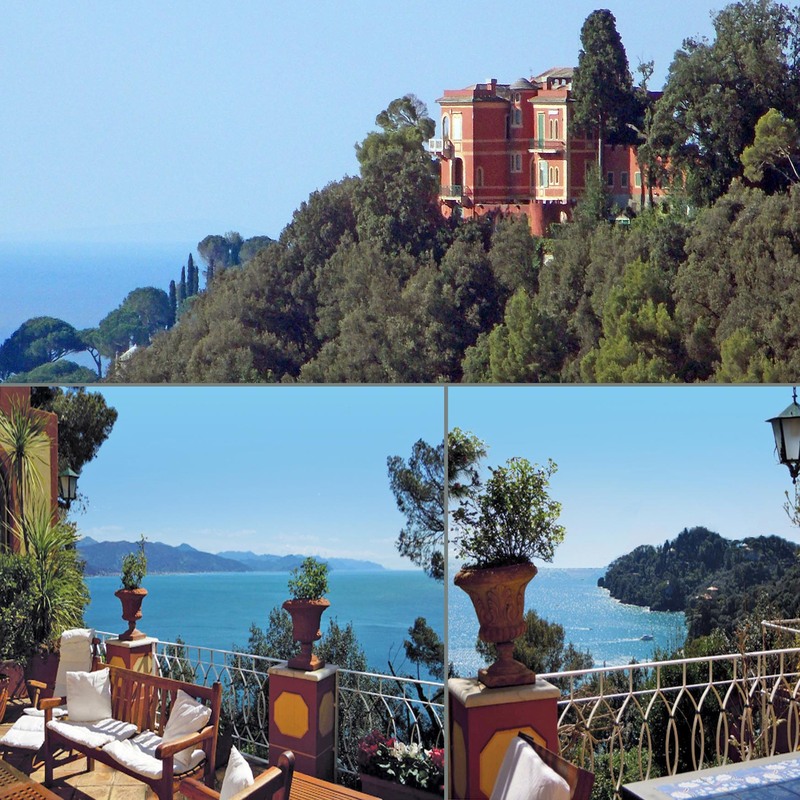 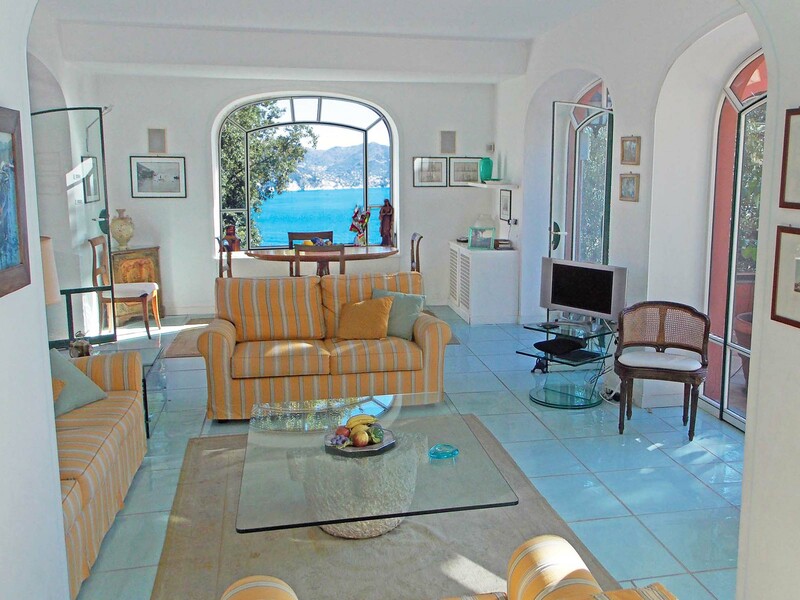 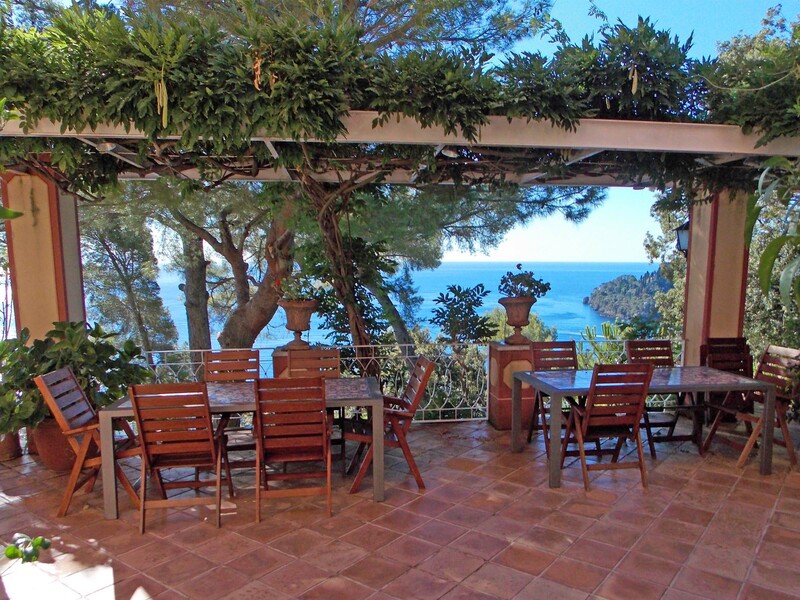 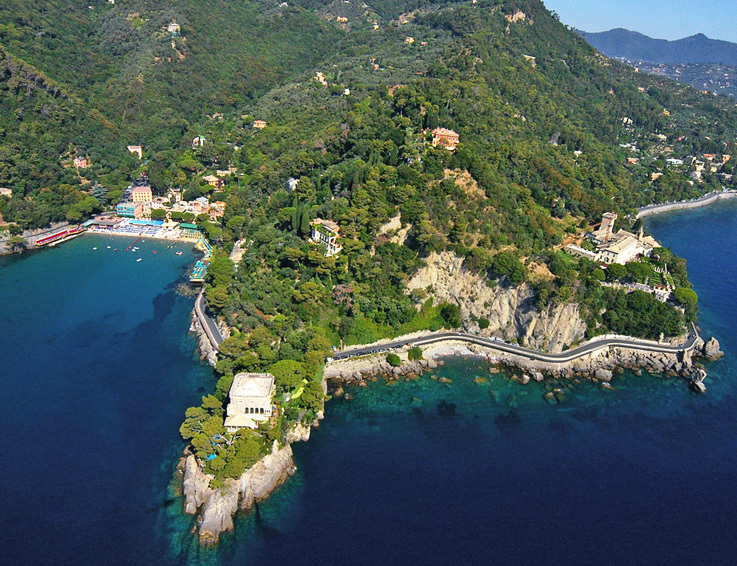 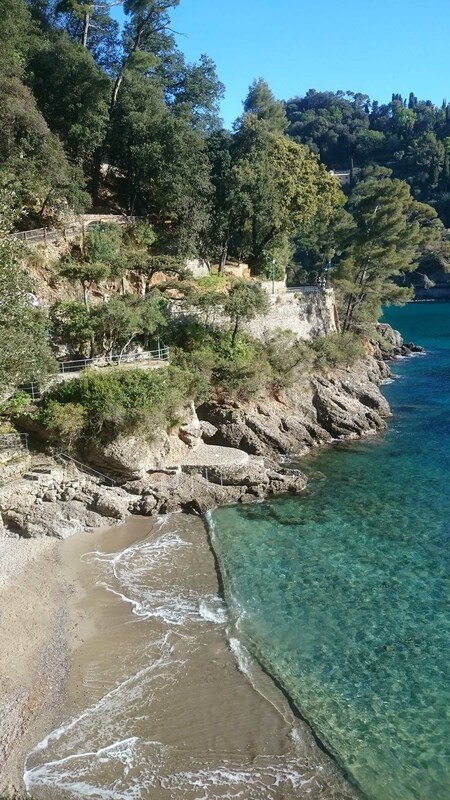 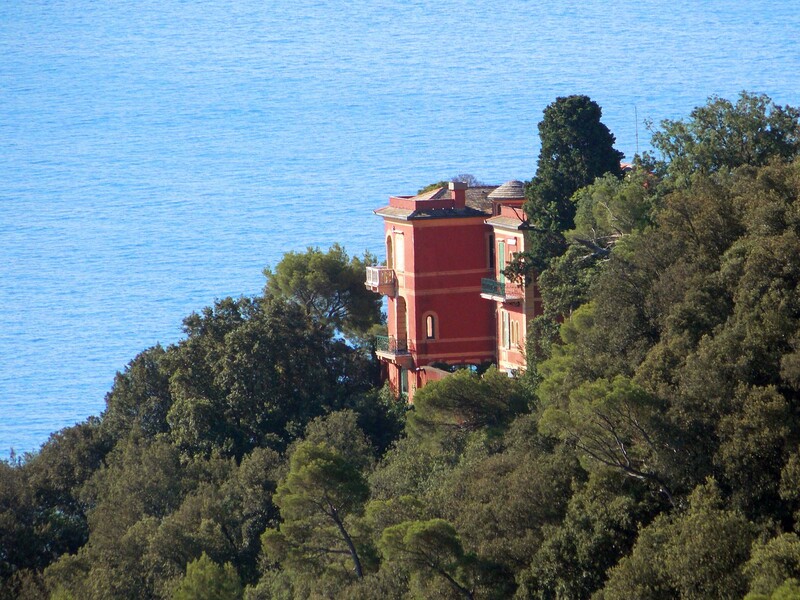 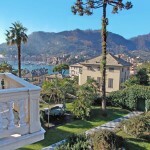 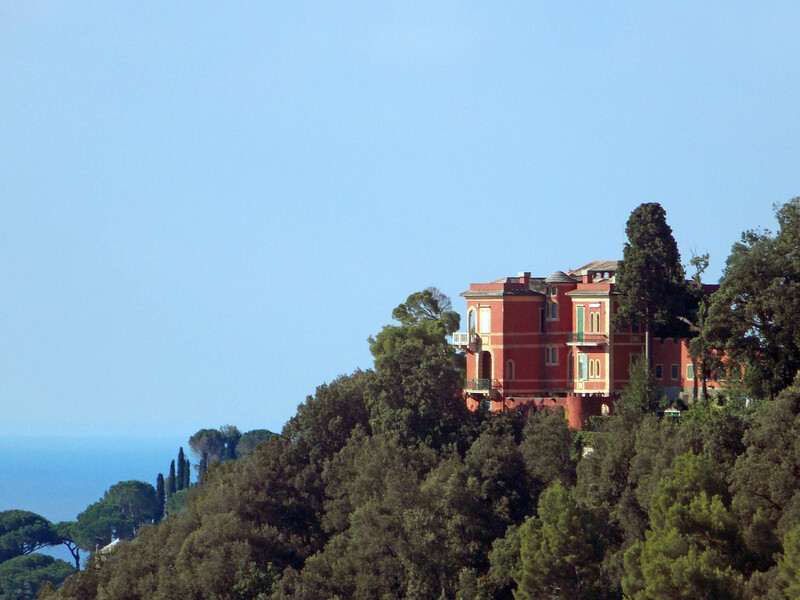 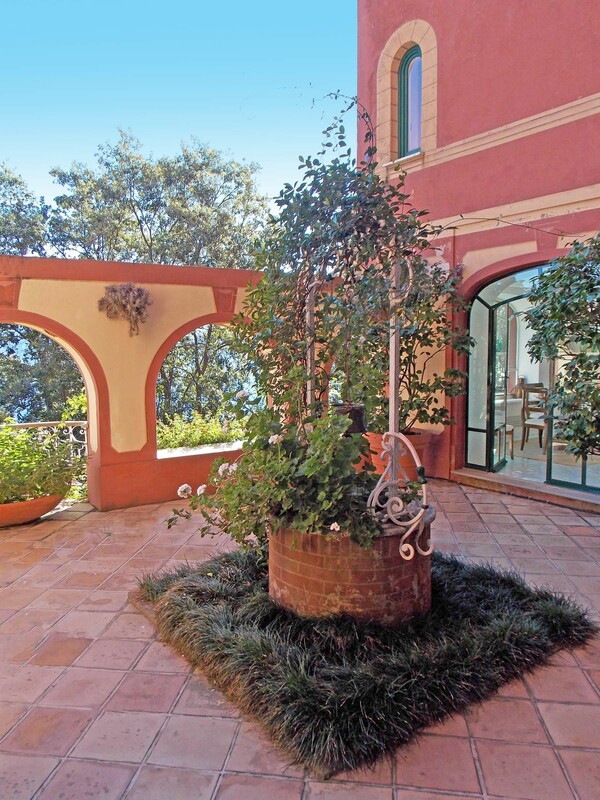 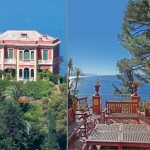 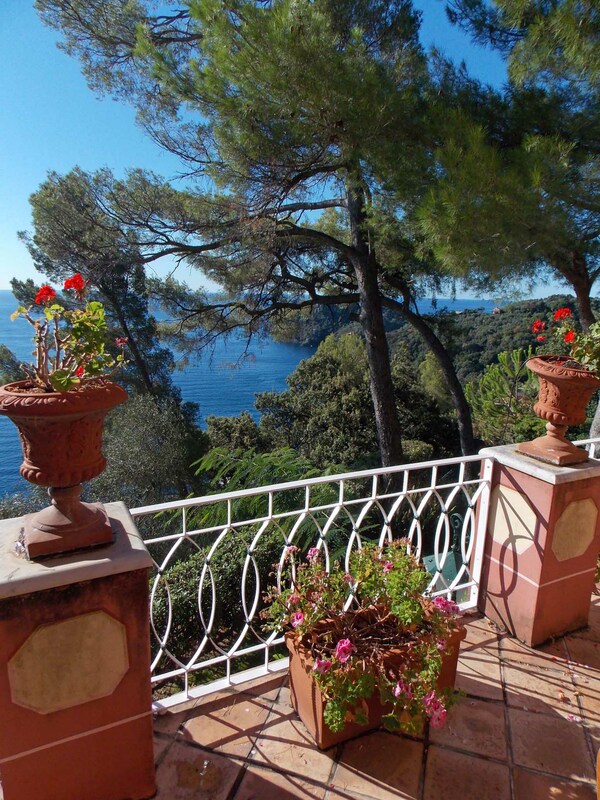 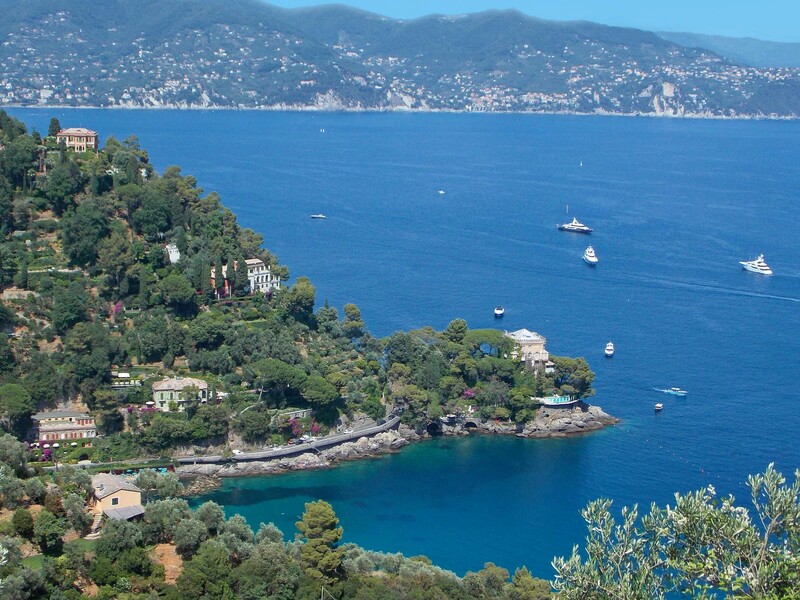 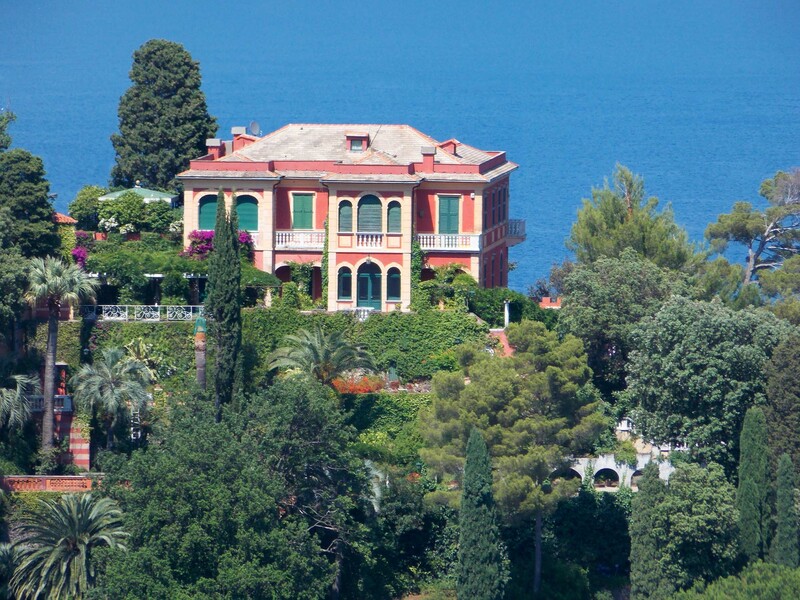 Prestigious apartment in old style palace on the rock of the Paraggi Bay, next of Portofino. 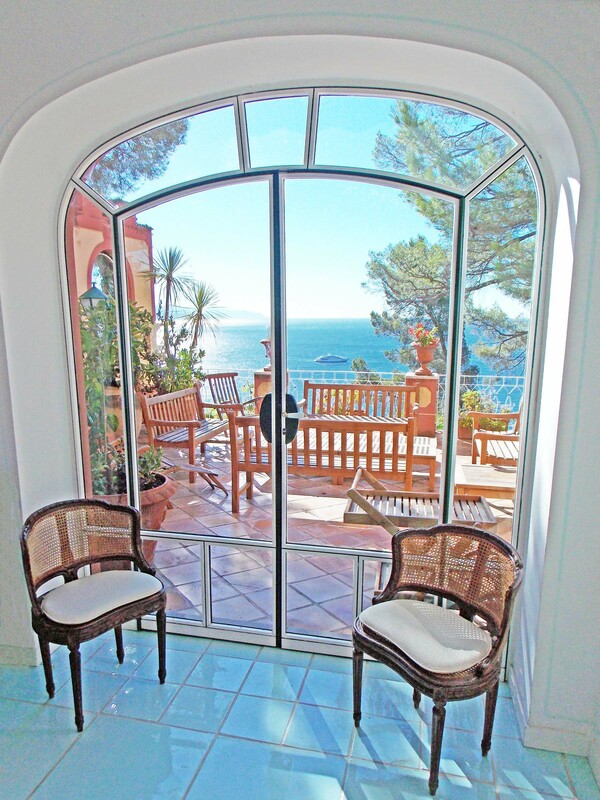 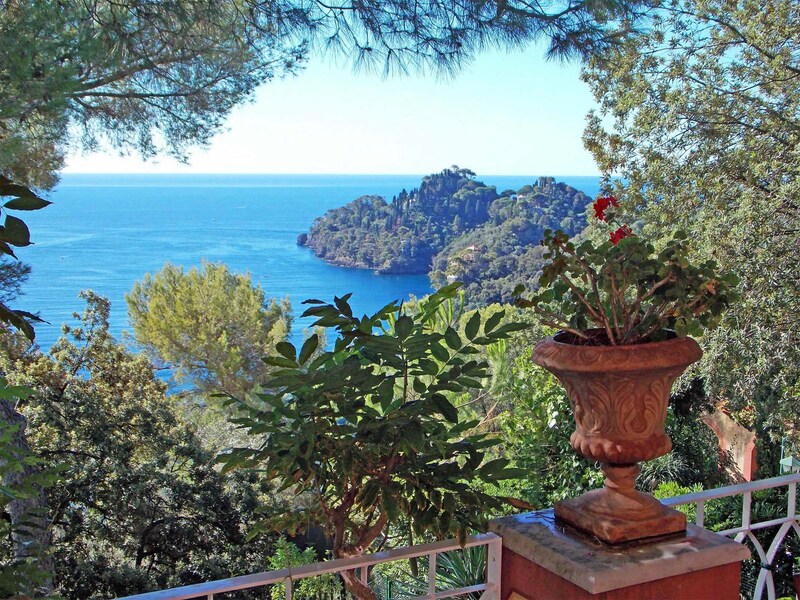 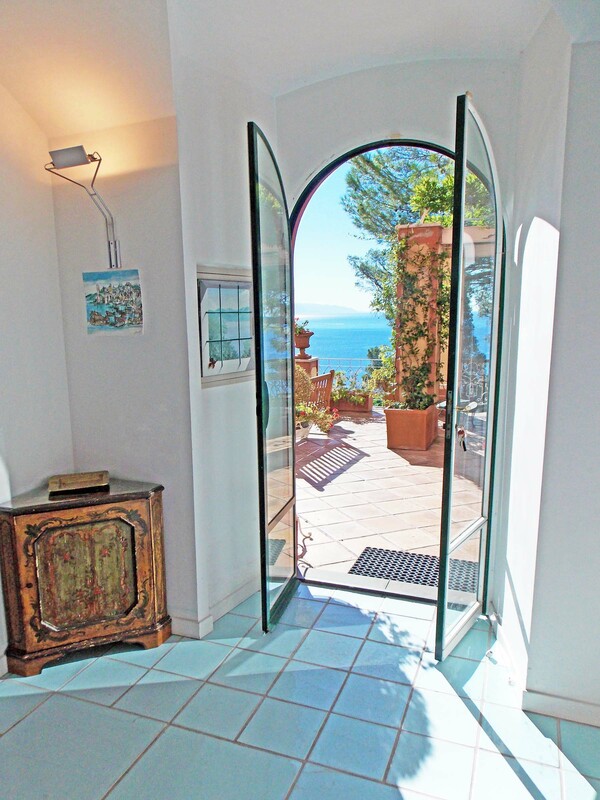 The property is located on a steep cliff overlooking the sea (70 m above sea level with two elevators built inside the hill) with a unique view on the Bay and surrounded by a panoramic garden. 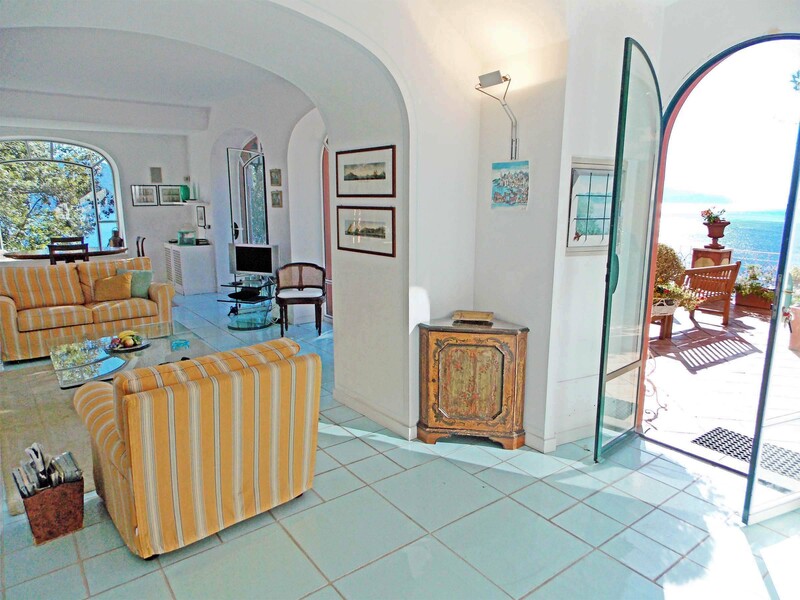 The exclusive apartment presents a commercial surface of 130 sqm, restored with refined taste. 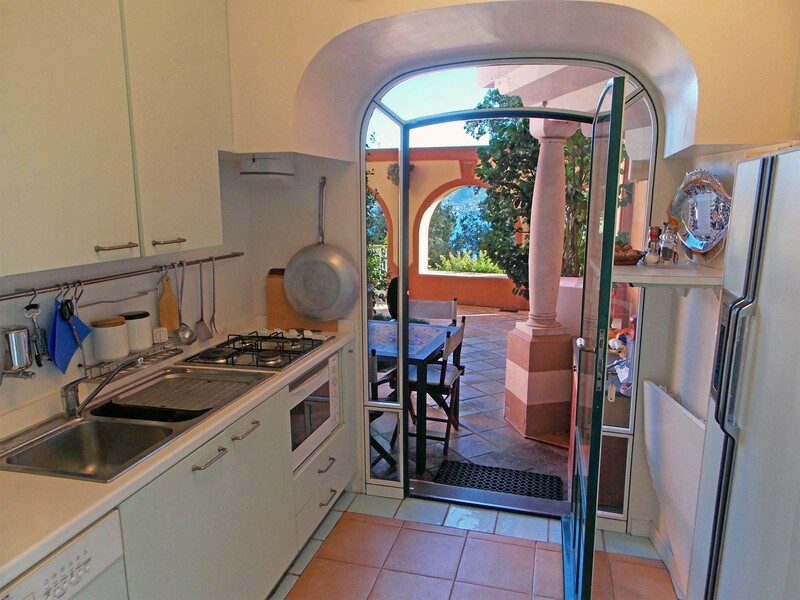 Composed by spacious dining/living room, kitchen, 2 master bedrooms facing onto the main terrace and the patio of 230 sqm, each with it’s own indipendent bathroom, a studio, laundry. 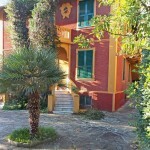 Park of about 300 sqm and two parking spaces (plus scooters) in private garage.